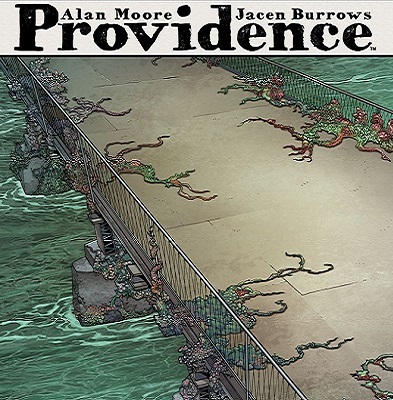 The 12 part Providence series from Alan Moore concludes this week. The story is set within the world of H. P. Lovecraft’s Cthulhu Mythos. In this horror tale, the reporter Robert Black has been on the tail of hidden monsters. But, the creatures have an agenda of their own. All the threads are weaving into a tapestry of history re-imagined. Or was our history the fiction? Time to wake up, he who slumbers. This is Providence, or is this Yuggoth? Alan Moore’s masterpiece draws to a close, and nothing will be the same. 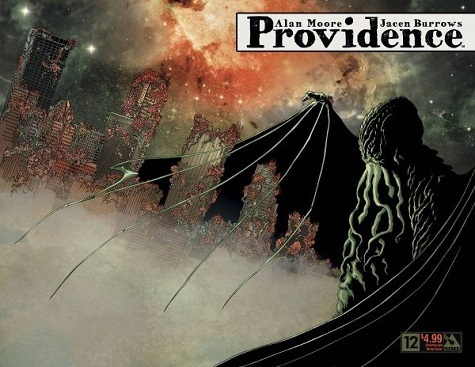 Providence #12 will be published by Avatar Press on April 5th. This edition is available with Regular, Pantheon, Portrait, Dreamscape Wraparound and a number of other covers.